We are workers and outdoorsmen. We are born and bred of the mountains and wild places where our work is. We are timberfallers, ranchers, and wildland firefighters. We play in the same mountains where we earn our living. We swim and hike and fish there. We also make the best damn suspenders in the world, because we wear what we make, and it better be tough and amazing… Our suspenders have to perform. 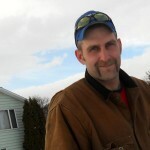 They have to be rugged and last in some pretty harsh territory doing some pretty rough work. We want what we wear to look good, too. What we wear says a lot about us. We’re Timberfallers and Wildland Firefighters too, so we know how to design suspenders that not only look cool, but function well. We never fall down on the job. If you know Grants Pass, you know it’s in Oregon and you know how serious we are about the outdoors here. We work in the mountains and we play in the mountains. Big timber? Yup. Our gear is built to last, so you’ll wear out before it does. No kidding. We make gnarly, rugged stuff that isn’t afraid of a little hard work – or a lot, for that matter. We don’t skimp on quality materials or construction. We make em great because we wear what we sell. The secret is simple: Make what you’d want to wear yourself and we do. Our suspenders are made in beautiful Southern Oregon. Made in the U.S.A. means more to us than just a tag line. We are a small local business that is trying to live local by buying local. WHAT MAKES BETTER S-PENDERS, WELL… BETTER? Be the envy of your friends and family. Heck, be the envy of strangers, their neighbors and your neighbor’s dog. 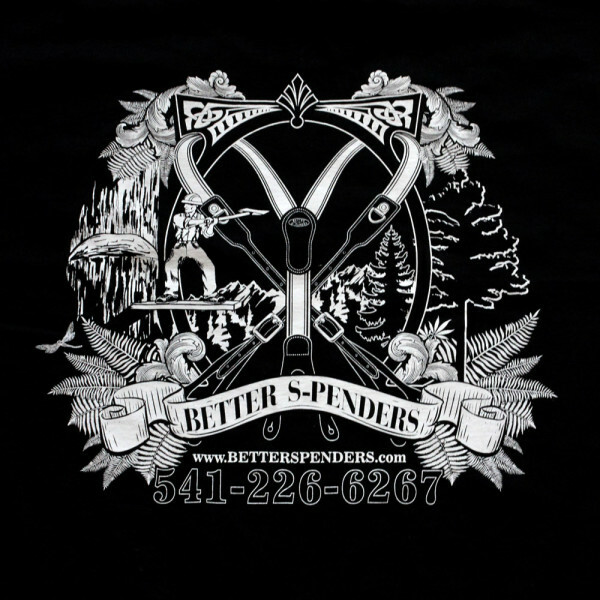 Better S-Penders stands behind our work and craftsmanship. We warrantee our products against defective materials or workmanship. If you have a problem with our products, let us know and we’ll do our best to make it right. Made in the good ol’ US of A by people who know how. 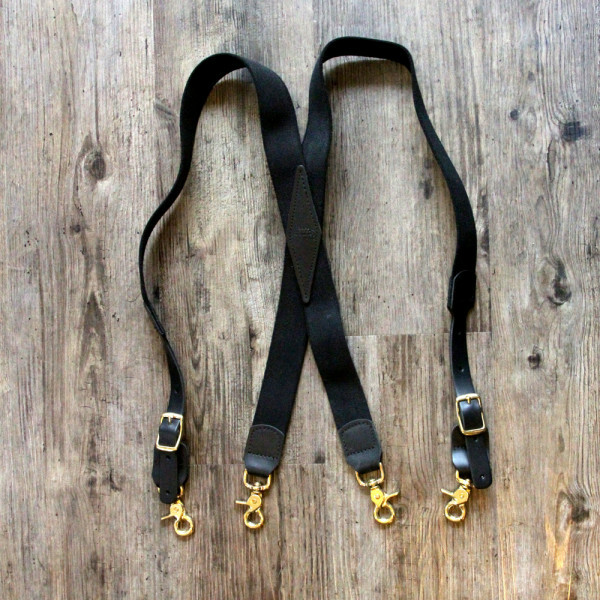 It doesn’t matter whether you’re next door in Grants Pass, Oregon or Timbuktu, if standard shipping carriers go there, so will our suspenders. We know you work in some of the most demanding situations out there. That’s why we build rugged gear. Well, actually we’re too small to have a team of operators standing by, but we do respond to inquiries and orders super fast. We are not dilettantes. 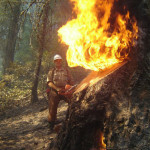 Our day jobs are still loggers and wildland firefighters. Always have been. 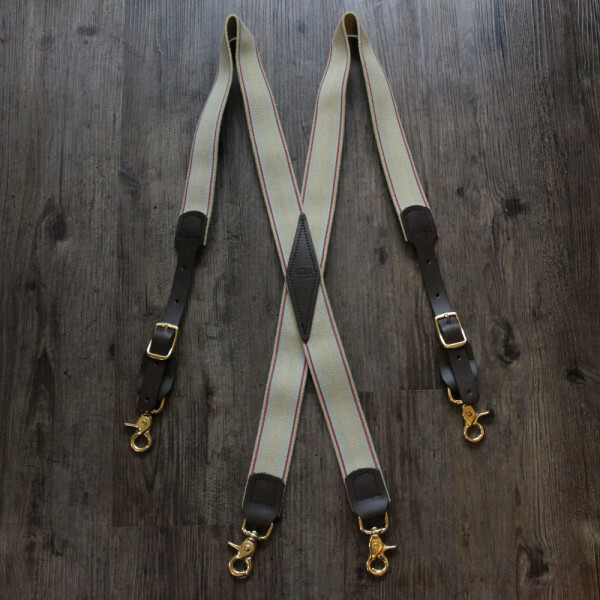 We make suspenders the way we do because nobody else can or will. We make great gear because we use what we make and we LOVE being makers as much as we love our work in the woods. Better S-Penders are sturdy, made in the U.S. with quality craftsmanship and components, and they’re the best way I’ve found to hold my pants up! 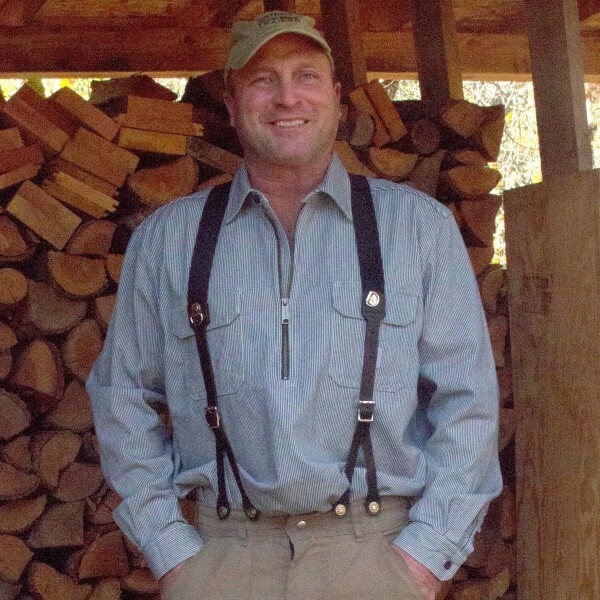 I have been cutting timber for 40 years and Better S-Penders are the toughest, longest lasting suspenders I have ever worn. ONCE YOU'VE WORN OUR SUSPENDERS, YOU'LL NEVER WANT TO WEAR ANYTHING ELSE... BUT SERIOUSLY, PUT SOME PANTS ON, TOO.